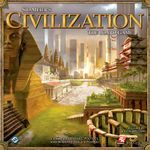 Components in very good condition- all cards sleeved and civilization sheets are laminated. Box bottom has one side split on each side. Can provide photos if requested.